Containing: Part 1, Prov.-Mal. ; Pt. 2, Apocrypha. Later calf, spine defective. 8vo. Adams B-977; Darlow & Moule 4602. 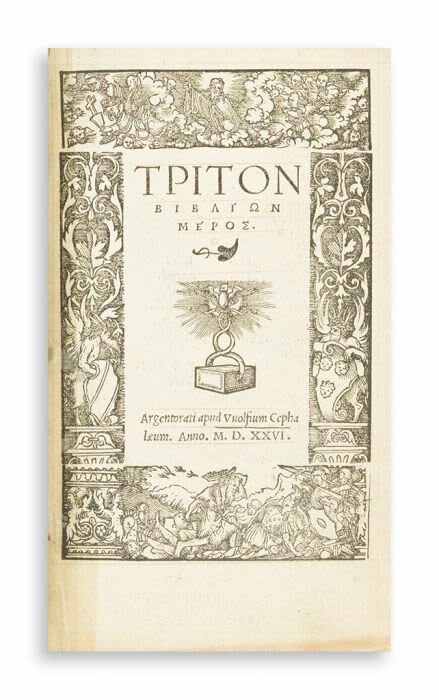 Third edition of the Old Testament in Greek, edited by Luther's friend and disciple Johannes Lonicerus (Lonitzer).